Stunning natural beauty is just the beginning in Arizona, where art and culture extend to all corners of the state, and includes everything from contemporary fine arts in high-class galleries to traditional crafts and performances by local Native American tribes. Whether you’re shopping for Arizona art to add to your collection, looking for a refined way to spend the evening or simply seeking an engaging museum where you can spend the day, Arizona has it. Greater Phoenix is a hub for some of the best museums, art galleries and theaters in the Southwest. The Heard Museum shows the art, artifacts and history of Southwestern people, from Native Americans to Hispanic cultures. 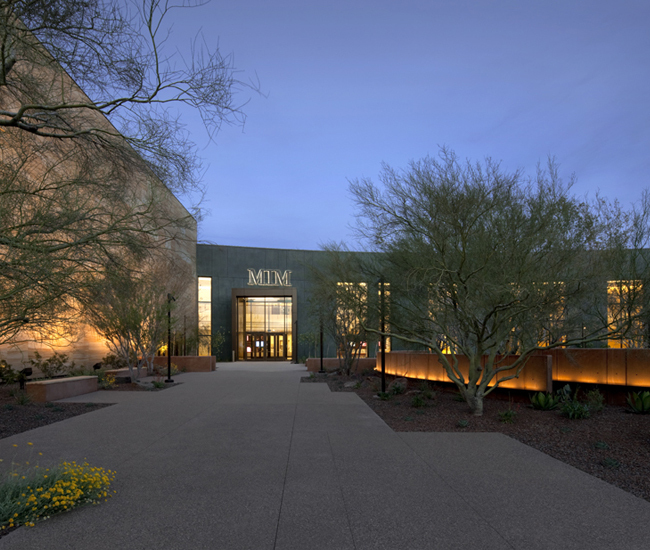 If you prefer more modern art, check out Phoenix Art Museum, which hosts national travelling exhibits, and their collections come from all over the world. Their fashion and photography galleries are known throughout the region. The Sonoran Desert is best seen at the Desert Botanical Garden, and the talents of Frank Lloyd Wright are showcased at Taliesin West, which is open for tours year-round. For family fun, the Children’s Museum of Phoenix can’t be beat, and the Arizona Science Center has something for every age. Make sure to see the Dorrance Planetarium while you’re there. The Musical Instrument Museum is the newest addition to the area, and showcases instruments from around the world as well as collectibles from musical superstars. The Experience Room lets you play rare instruments from all different cultures, and there’s always a concert coming up at the Music Theater.